Bubble Motion has raised $10 million growth capital to accelerate the roll-out of its voice-based social communications service that has attracted millions of consumers across Asia. This is Bubble Motion’s second round of financing since its strategic shift into becoming a social messaging company in 2009. 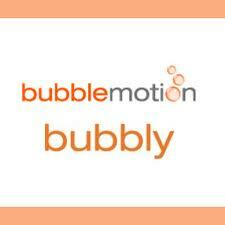 Since Bubble Motion launched Bubbly — its flagship voice-based social messaging service, just one year ago, it has gained over 7 million users across 4 countries (India, Indonesia, Japan and Philippines) and has delivered more than 250 million bubble messages through its service. This strategic round of financing will be used by Bubble Motion to accelerate growth of its service into new countries, while scaling its technology platform which has become the standard voice-based mobile social networking solution for mobile operators across Asia. The company’s flagship service Bubbly will expand to additional mobile platforms including additional operator networks, the mobile Web and smartphone applications. Bubble Motion is already working closely with several large associates within the SingTel Group, including Bharti Airtel in India, Telkomsel in Indonesia, and Globe in the Philippines. “”We are excited to have SingTel and Infocomm Investments join our group of existing investors as we continue to shape the mobile social media landscape in Asia and beyond,” states Bubble Motion CEO Thomas Clayton. Next articleFirefox 4 For Android!